Platinum Horizon 'STANDARD' from just £1395! 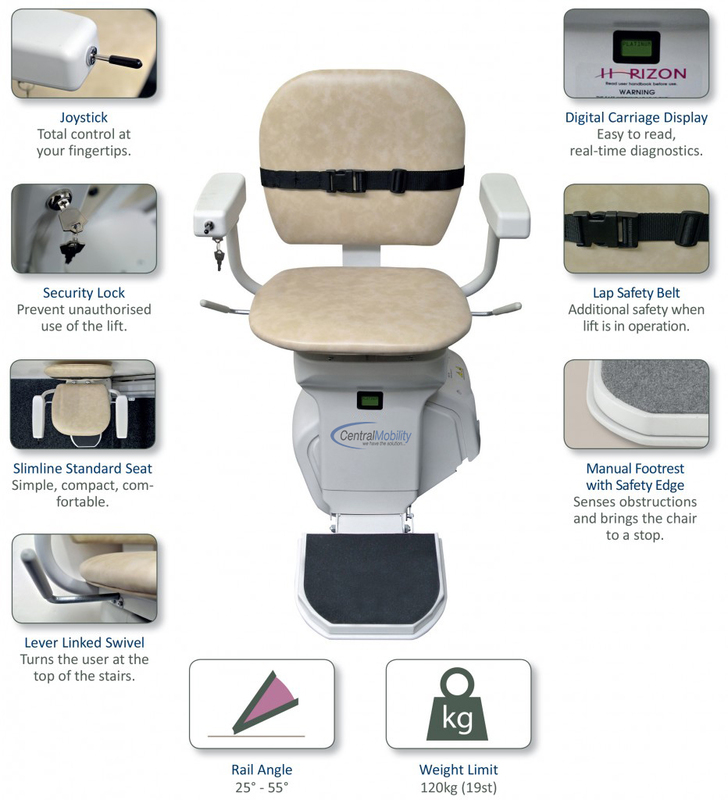 The Platinum Horizon Standard stairlift delivers all the essential comfort and safety features you need, in a neat, slimline package. With a compact profile which sits close to the wall, the Horizon Standard seat comes in neutral colours to blend seamlessly into your home. It's versatility allows it to be installed on virtually any staircase ranging from 25° to 55°. It has a weight limit of 120kg / 19st and has been designed so that all of the controls are easy to access and simple to use. 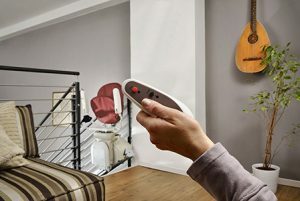 The Horizon Standard is controlled by a simple joystick which is located conveniently on the end of the arm. 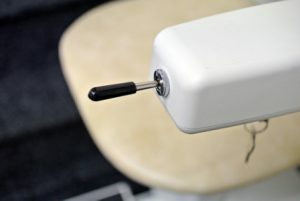 By gently pressing and holding the joystick in the required direction, the stairlift will move off smoothly until it is released again or arrives at the end of its journey. 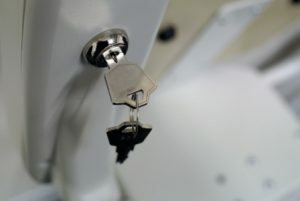 When not in use, Horizon Standard can be locked using a key switch provided underneath the arm. 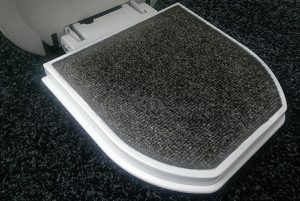 This will deactivate the stairlift and help prevent unauthorised use. 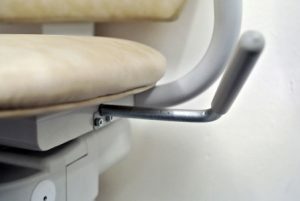 Once at the top of the stairs, the seat swivel lever located to the side of the seat allows the user to easily turn the seat round so that they are facing away from the stairs. 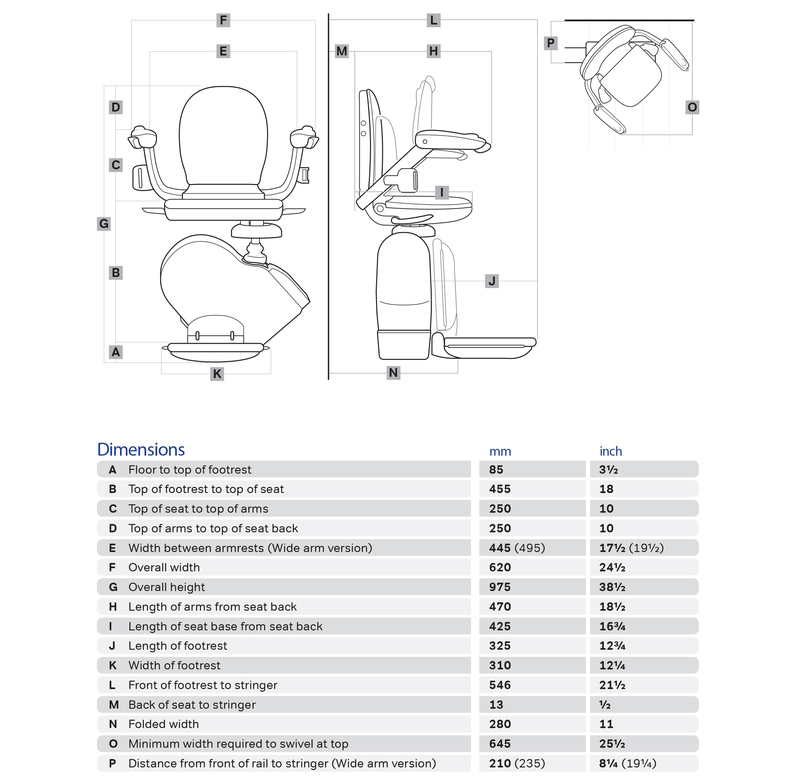 The seat arms can then be used by the user to help them standup and step off on to the landing. Whilst the stairlift is in motion, it uses a safety circuit comprising of a number of safety edges which will bring the stairlift to a stop the moment it comes in to contact with an obstruction. The Horizon Standard will then allow the user to move in the opposite direction so that the object can be removed safely. The Platinum Horizon Standard is supplied with two remote controls. The lift can be ‘called’ or ‘sent’ up or down the stairs whenever it’s needed, making it easy for multiple users to control the stairlift.